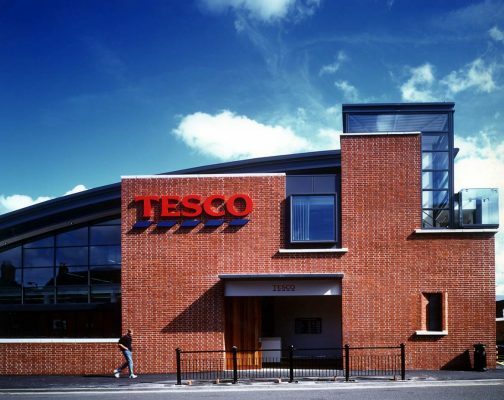 This building follows an invitation from the Royal Fine Arts Commission to prepare designs for a supermarket in Ludlow. 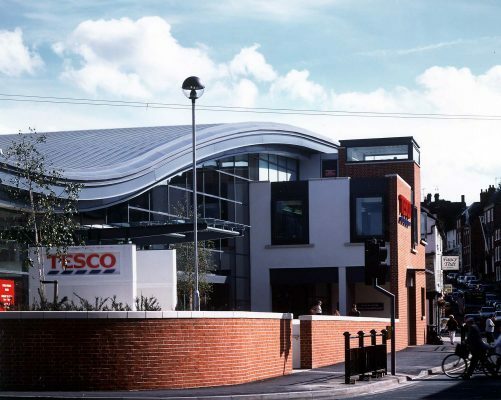 The challenge was to create a modern supermarket design sympathetic to Ludlow’s historic town environment, much of which has hardly changed over the last two hundred years. Earlier proposals by various clients and architects had been denied planning consent. 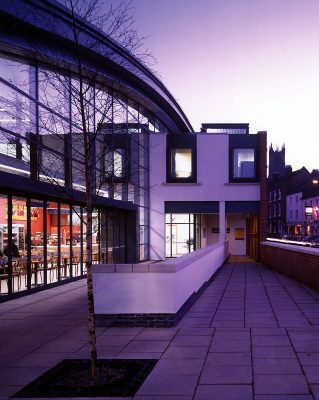 We were able to overcome local planning opposition by respecting the scale of the surrounding buildings, the integrity of the streetscape and Ludlow’s vernacular brick tradition. All of this was achieved without compromising the modern architectural language of the design. Our building maintains the line and scale of the existing 18th and 19th Century Corve Street, with a progression of volumes from the domestic scale of the street to the airy single span of the food hall reconciling the new building with its historic setting. 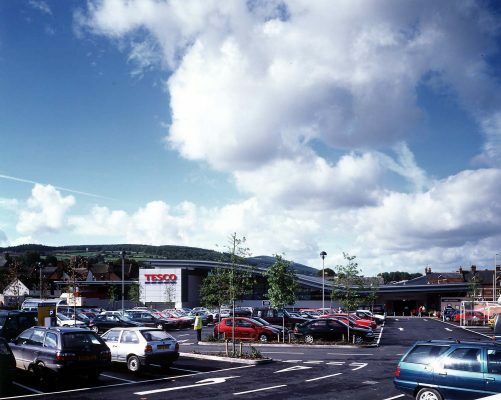 Entrances to the store from the street and from the car park behind give shoppers convenient pedestrian access from the town centre and the train station. Extensive planting screens the car park in views from the hillside. The project has been published widely as a model for incorporating new development in historic towns.